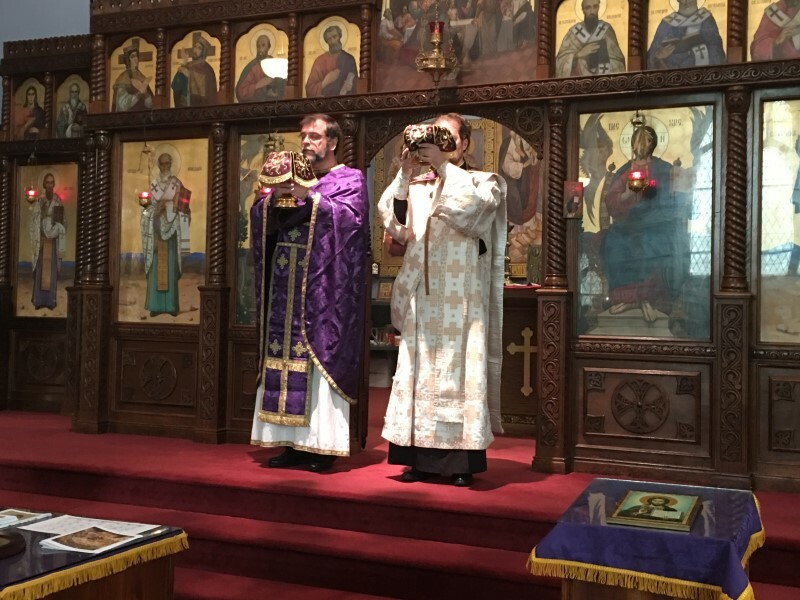 On Sunday March 25th, 2018, with the Archpastoral Blessings of His Grace Bishop Irinej, the St. Nicholas Serbian Orthodox church of Philadelphia PA., hosted Deacon Dr. Jovan Anicic, the Diocesan Director of Christian Education, as its guest speaker for the parish’s annual family retreat for Great Lent. The day began with the celebration of Divine Liturgy by Fr. Milorad Orlic and Deacon Jovan with the parish faithful. The burgeoning men’s choir beautifully and with enthusiasm sang the responses. Following in her brother’s footsteps , Nada Neskovic joined Marko in reading the Epistle. Marko who has read for many years read in beautifully in Serbian, and Nada who started reading this year read the English. Many of the adults and children partook of the Holy Mystery of Communion. 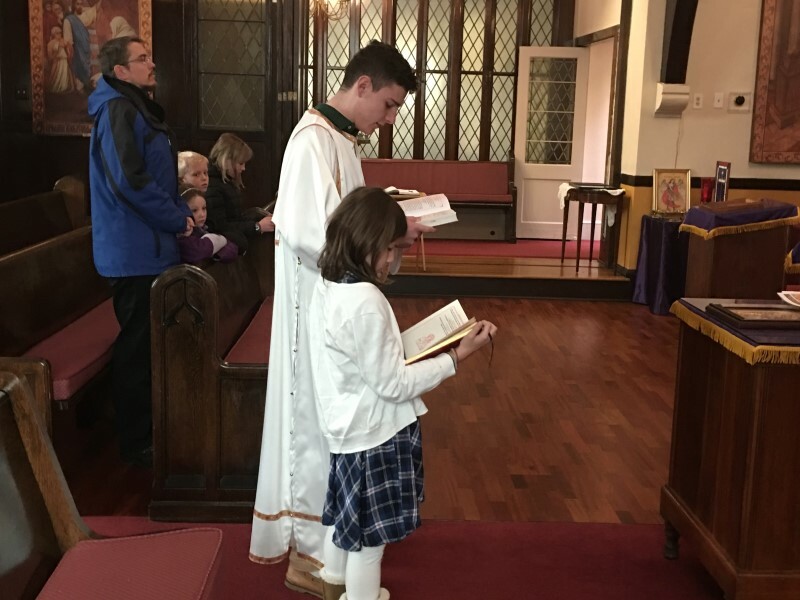 For the first time young Sofia Markovic joined her father in reading the prayer after Holy Communion. Following Holy Communion, the children proceeded to their classes, where their lessons for the day (in accordance with this Sunday being dedicated to St. Mary of Egypt) focused on repentance, God’s love and forgiveness. 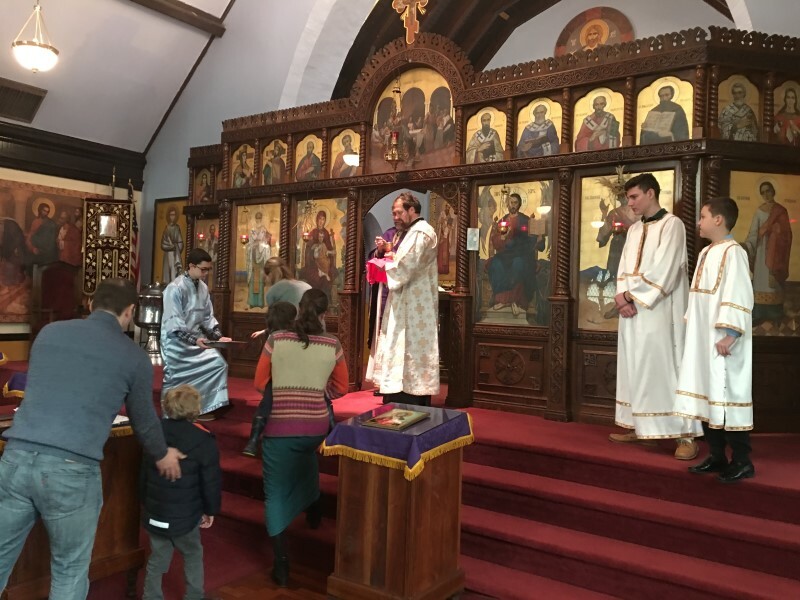 The children were pleasantly surprised when Deacon Jovan, following the conclusion of Divine Liturgy, joined them for their classes. Acquainting himself with the teachers and children, Deacon Jovan discussed the themes of the day, sharing his knowledge and insight with all. The children particularly enjoyed the Lenten board game that Deacon Jovan brought with him, and were grateful for the books, authored by him, which he presented to the children as gifts. 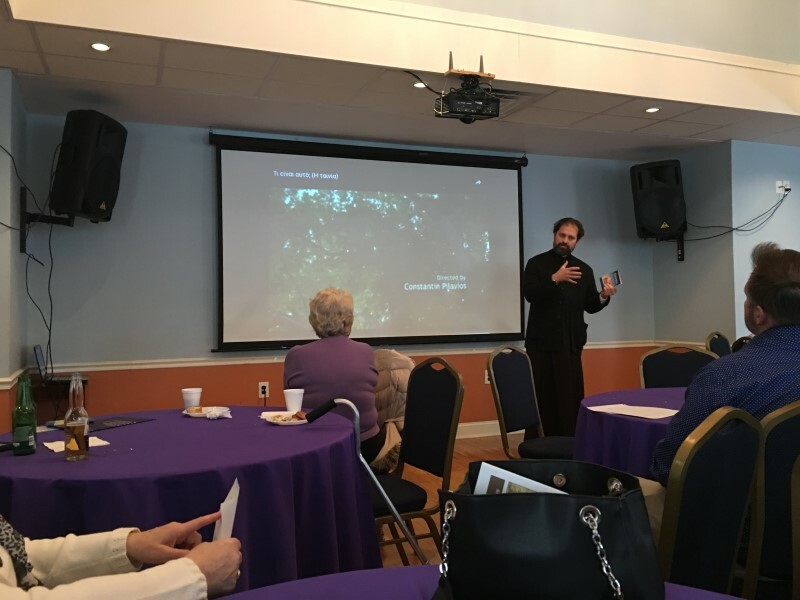 Following a wonderful luncheon hosted by Marko and Shania Markovic, Deacon Jovan spoke to the adults on the topic of “Fasting as a Family.” His presentation evoked a lively discussion amongst all present. Upon conclusion of the discussion, Deacon Jovan thanked all for the warm and loving reception that was extended to him.